This week’s facebook cover photo needs no introduction, connoisseurs will recognize at the first glance Paris, the city of light and capital of France. 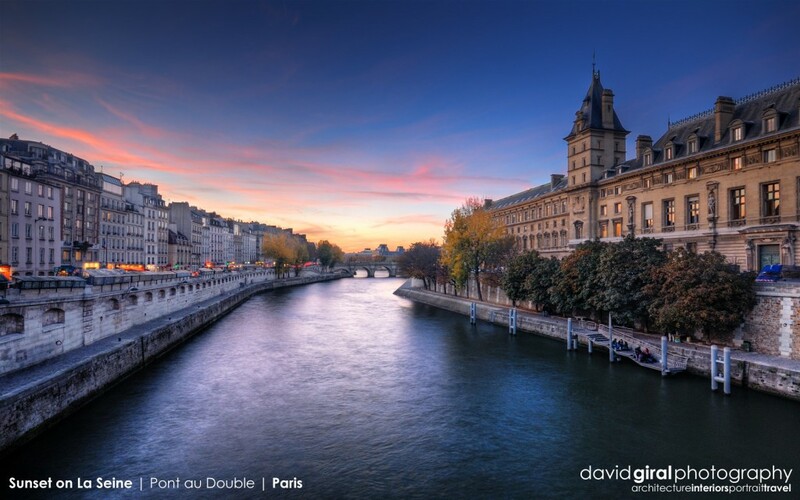 This image features a magnificent sunset over La Seine, the quai Saint Michel on the left side of the frame and the Palais de Justice on the right side. This specific picture was taken from Pont au double just a couple of blocks west of Notre Dame de Paris, at sunset using a D200 with a Sigma 10-20mm F/4-5.6. This particular picture is a blend of one exposure (+1ev) and an HDR from 5 exposures, ranging from 1/2s to 8s. Enjoy the cover photo below, right click to download at full resolution! Interested in licensing or ordering a print of this picture? Click on the image below (right click to download wallpaper size). I am very interested about 2,3 pictures from Paris. I would like to use it for my website. Is it possible to use/buy it?